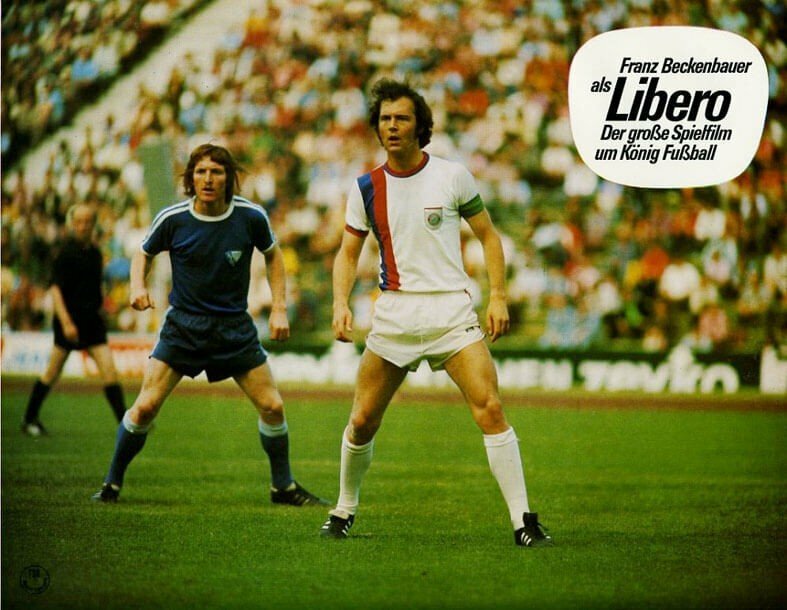 For a long time now I’ve been fascinated by the idea of developing a style of football that presents something new and perhaps unconventional. I’m quite drawn to asymmetry and different interpretations of certain aspects of football. a) Reducing space between the lines – The idea is to ‘shrink’ the team vertically, leaving as little space as possible for the opposition to exploit between the players through either runs or passing whilst maintaining horizontal width in order to maintain good coverage of space. 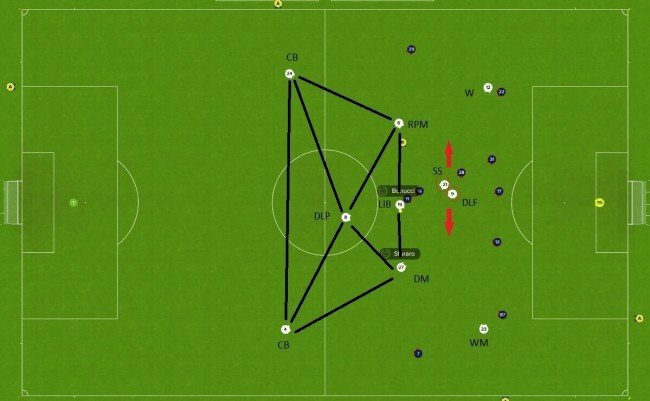 Desirable scenario (experimental) – Notice how close the lines area to each other as well as the width of the team vs. the opposition width. 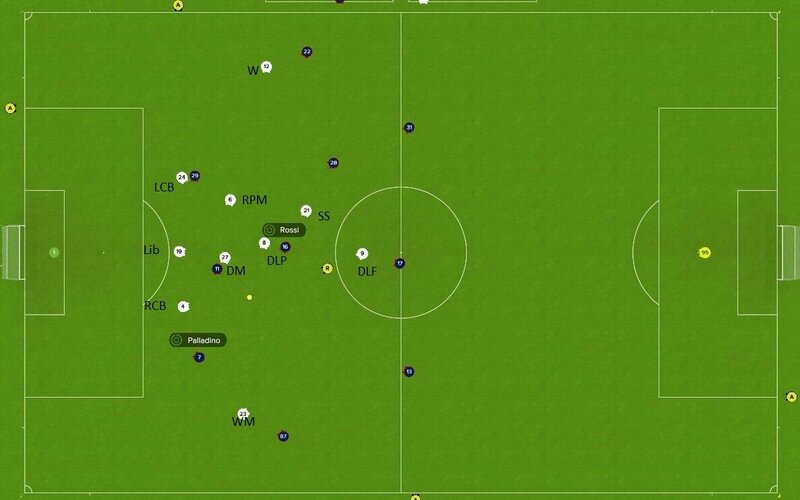 Desirable scenario (experimental) – Notice the number of players committed to the action area. 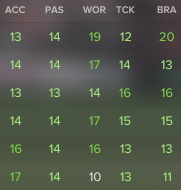 Probably the most suited player for the Libero role in FM, Bonucci’s stat distribution as well as PPM’s make him a perfect choice. He excels in pretty much all the attributes listed above as being key for this role. 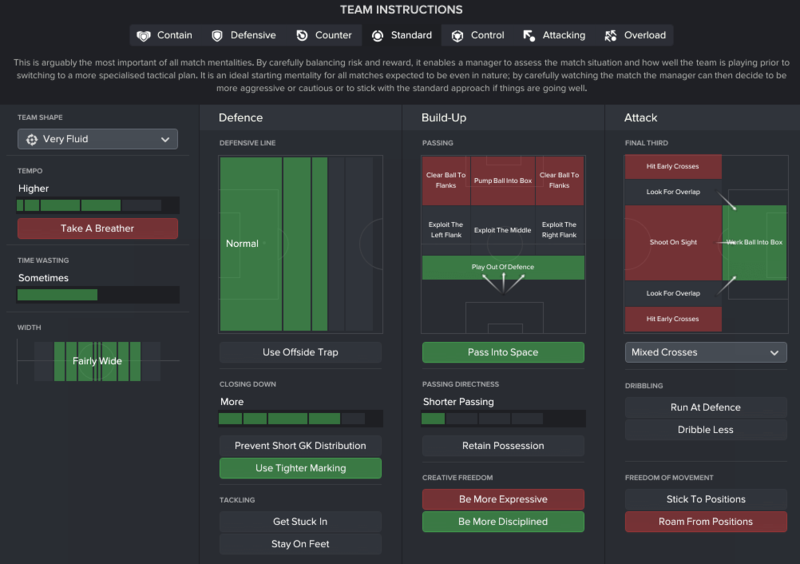 The choice of team instructions reflects all of the above discussed points about how I want my team to interact as a unit as well as cover space. 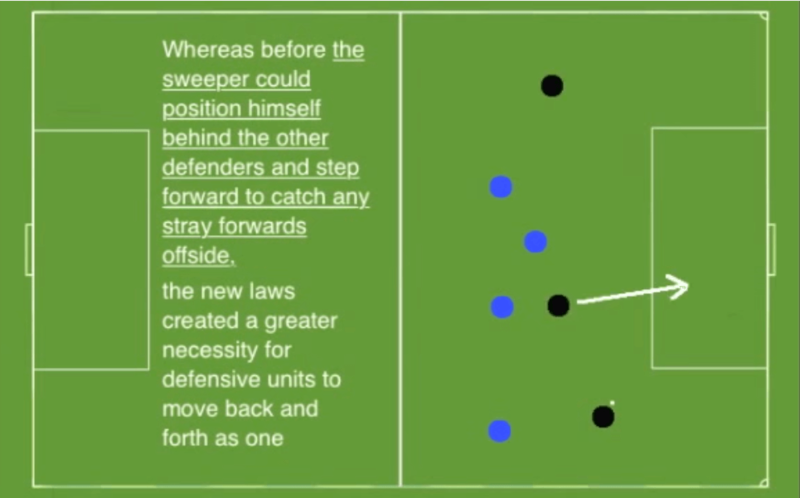 Additionally, I’ve decided to add the ‘pass into space’ TI as the slightly asymmetrical nature of our system will create space that can be exploited by the deep creative roles such as the Libero and the RPM. 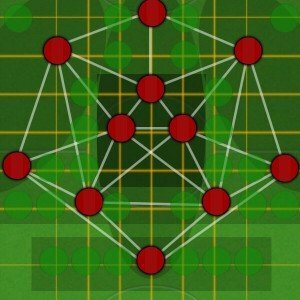 As we look to create pressure in midfield through a high number of players congested in that area, I’ve instructed my team to ‘work the ball in the box‘, given that in most cases we will have considerable numerical advantage near the opposition box which can be exploited through clever movement and passing. Passing has been set to short as we aim to have our players close to each other and look to keep it simple as a team. 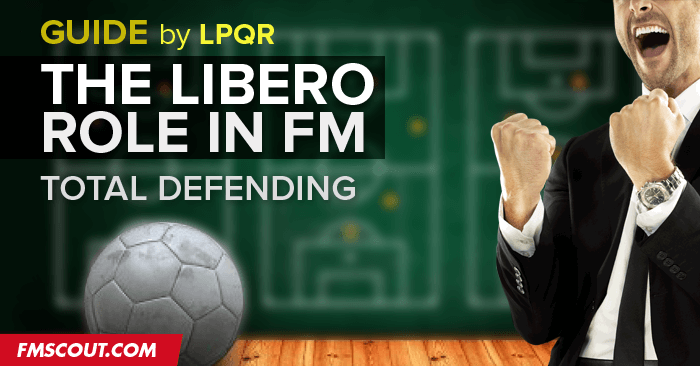 The more creative roles – Libero, RPM have a ‘more risky passes’ PI as default in their roles and the DLP has the ‘more direct passes’ PI ticked, as I aim to use the first two as the main creative outlets of the team as well as the latter to create verticality in our passing game. 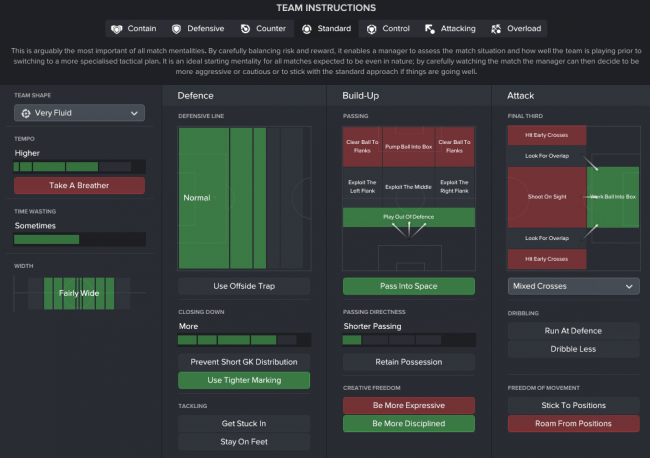 Our team is set to position itself ‘fairly wide’ as I want my DM’s to be close enough to the wings to help the WM’s defensively, as well as avoid being overly congested due to the already high number of players that will look to attack the midfield area. 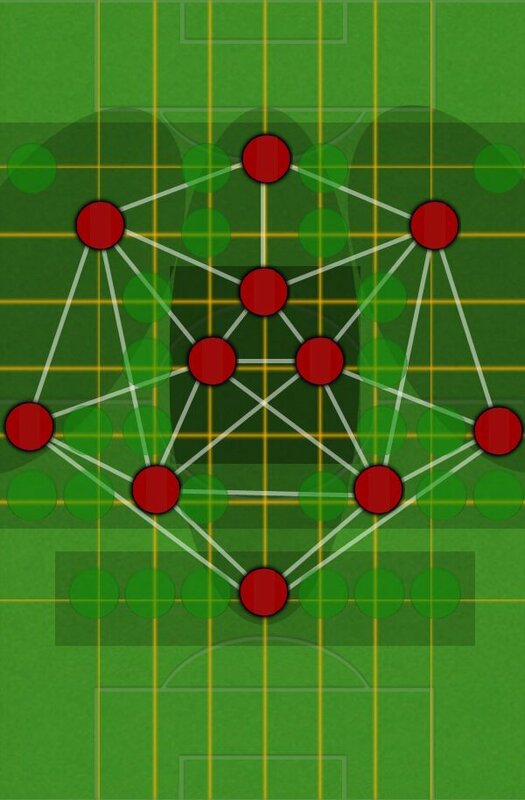 The ‘very fluid’ team shape along with the instruction to ‘be more disciplined’ aims to combine compactness, mobility and defensive responsibility, all key concepts of this systems mentioned above. 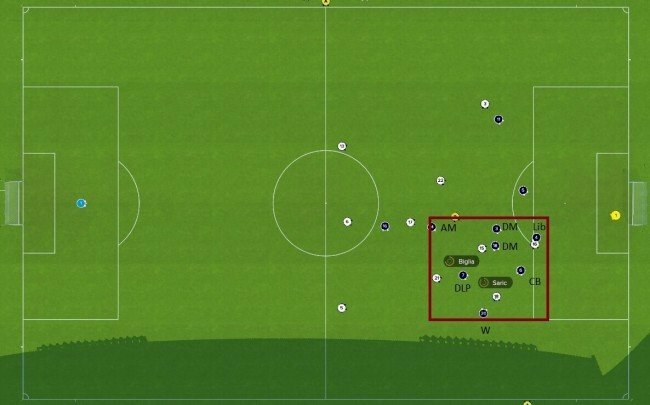 The ‘high tempo’ relates to the quick passing game achieved through either build-up through the middle or flanks I want to achieve, as the team will need to transition quickly from defence to attack given that we will defend relatively deep. 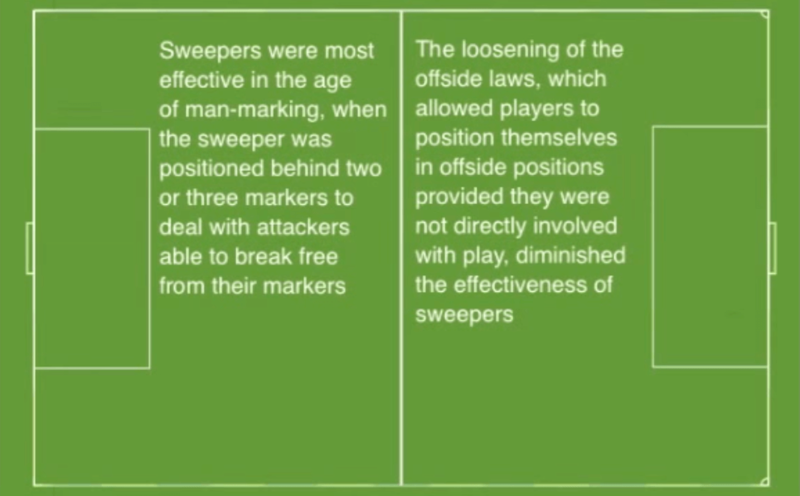 The instruction to ‘play out of defence’ relates to exploiting the Libero and the DM’s in the build-up phase of the game. 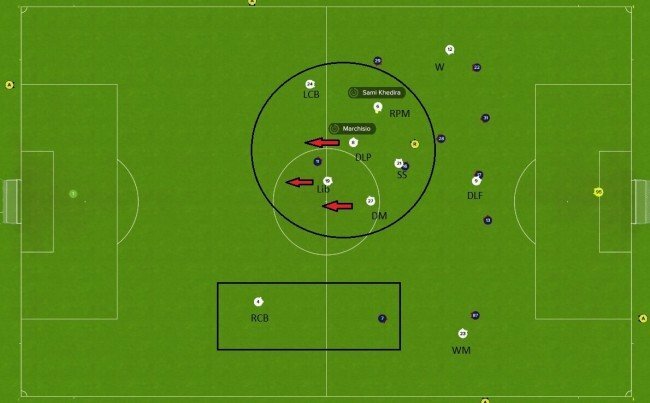 Example of defensive situation – Notice good coverage of width as well as number of players committed to action area (in this case – central). 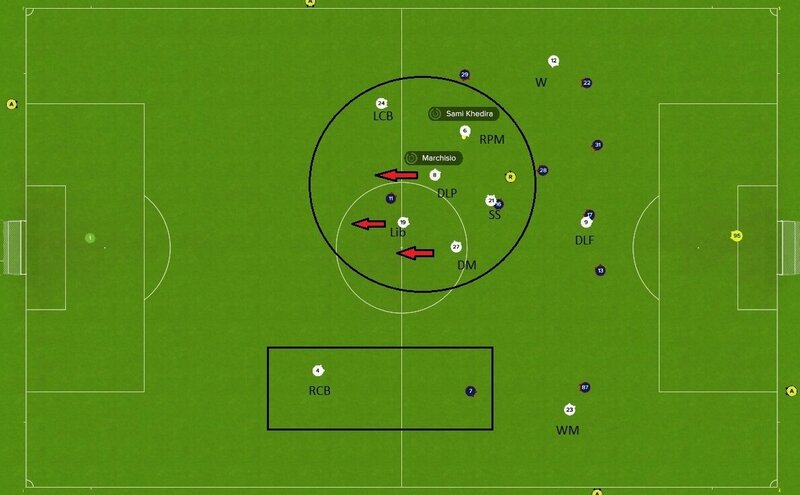 Example of defensive situation – Here you can notice the mobility of the team defending as a unit as we have 6 players drifting to the left, committing to the action area vs. the opposition 4. 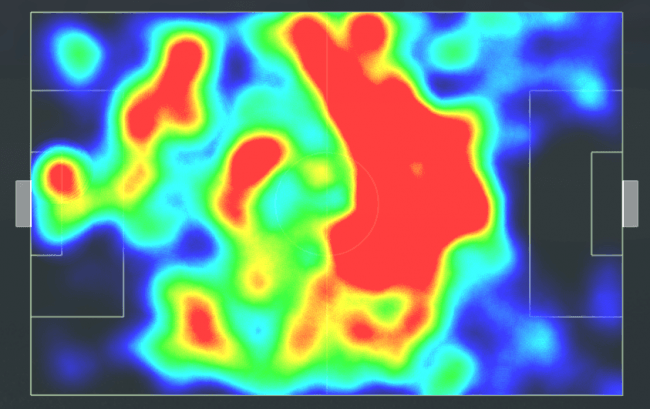 In this screenshot you can also see how deep the WM drops in order to maintain good defensive coverage of a potential threat out wide. Example of build up from deep – The libero starts an attacking move from deep and has a number of passing options at his disposal. 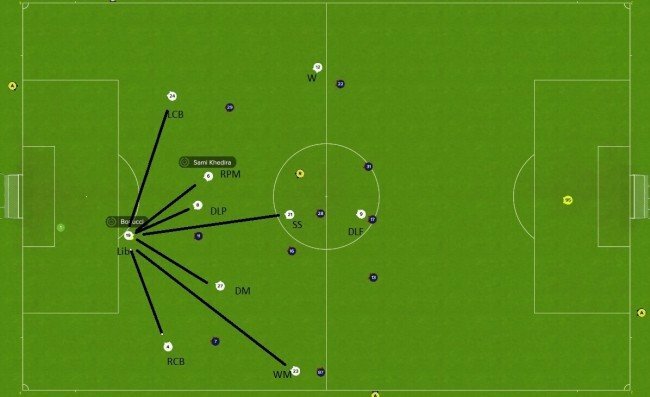 The variety of player roles available for the pass means that the attacking build-up will unfold in a number of ways, depending on who is given that responsibility. 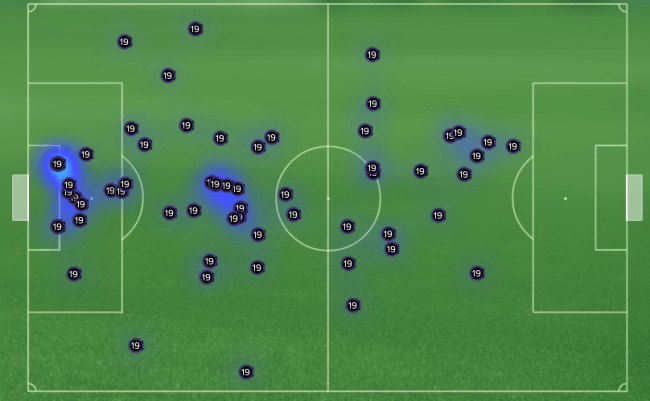 Example of attacking situation – Notice the large number of players in midfield helped by the RPM and the Libero advancing from deep positions as well as the number of players making attacking runs in the final third. 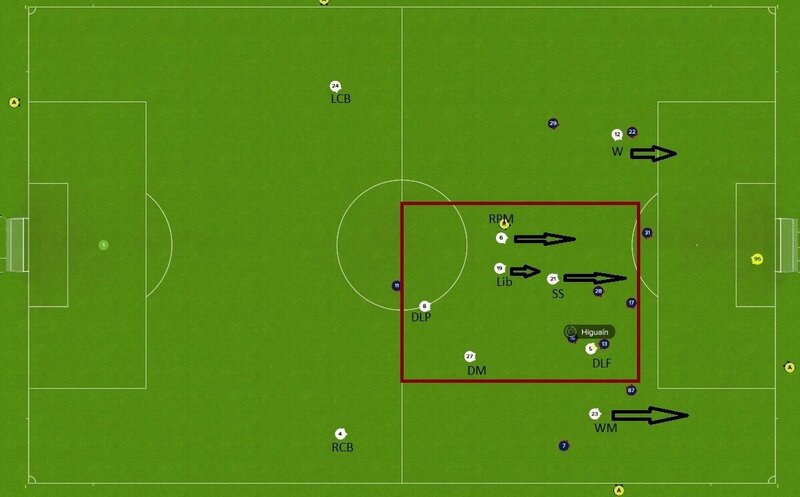 Here you can also see our wingers attacking width efficiently and our DLP and DM sitting deeper and holding their positions in order to offer protection to the CB’s. 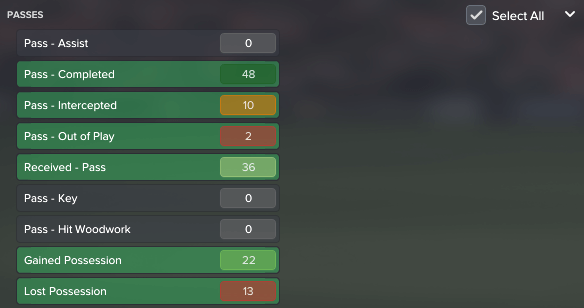 We’ve had some really good results so far, including a sweet 5-0 demolition of AC Milan, although the system with the exact set-up as described above was used after our defeat at Udinese. 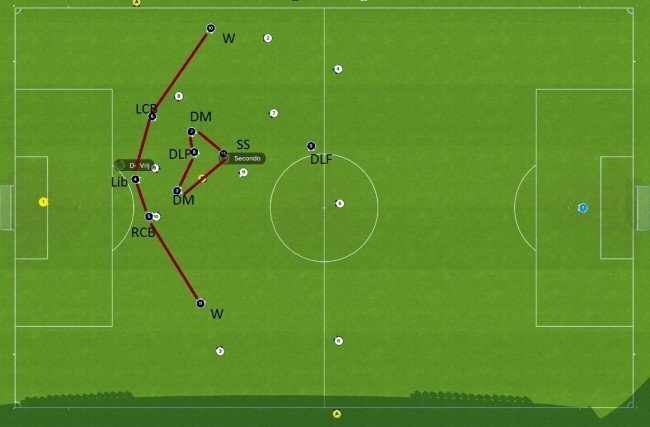 The analysis of the types of goals we are scoring shows that we are successfully exploiting the midfield and that we are able to ‘work the ball in the box’ to great effect. 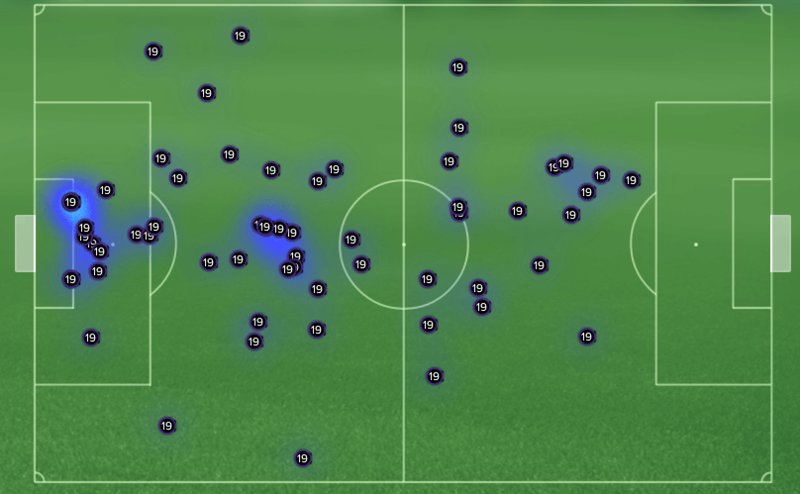 Additionally we’ve had a couple of ‘long shot’ types of goals from our Libero and DM’s which is, of course, a bit of a bonus. After reading this, i have a couple of things that i would like to say/ask. 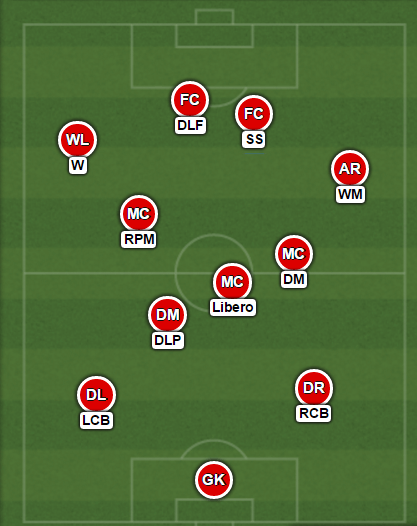 Using a libero and 2 HB and 1 CB and 2 WBs as defensive line could work for a big team? 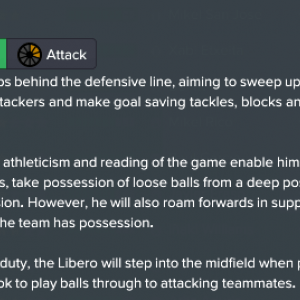 A Libero at attack is a DMC, right? 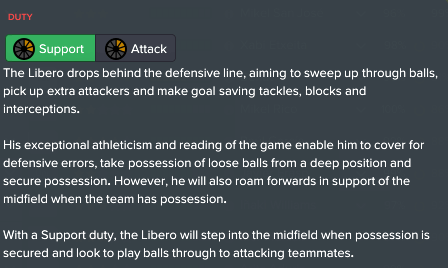 so, if i play an higher D-line, my 2 cbs will behave like normal CBs, or will they act as if the libero in behind them? 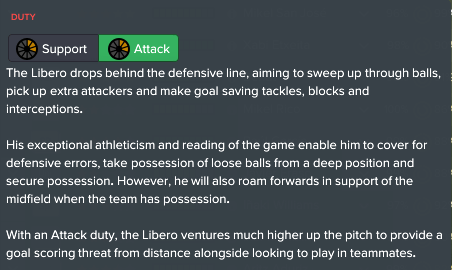 For a team that plays high possession, seems logical? Can i play libero and Ball playing defender? Cheers! and thank you for this wonderful guide! 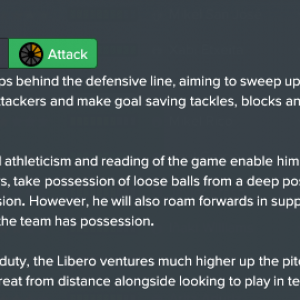 Great guide, have been using a Libero system in Germany with my Koln team. 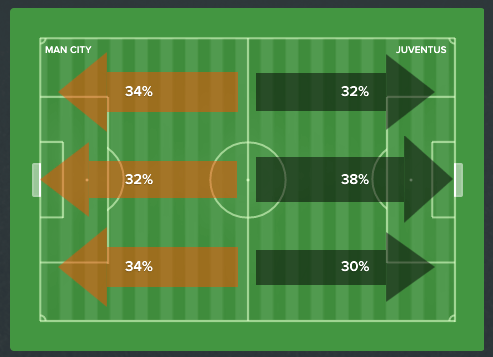 My team tends to be narrower especially against the big 3 or 4 teams in the league; very effective defensively but still need to work out some of the kinks need working out in the attacking sense, to this point I have picked up some ideas in this article. Since I am a huge fan of the "true italian way", I found this read very refreshing and I am quite happy that people actually try using non conventional systems, like I do. 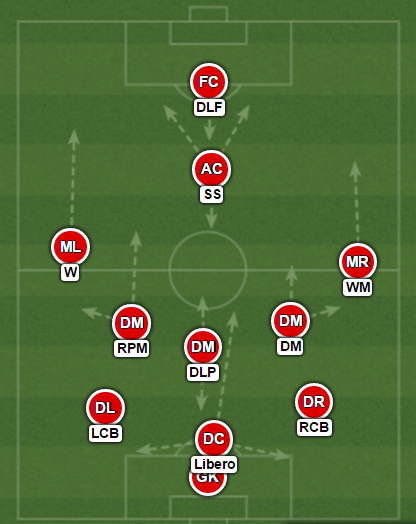 I am currently trying to implement a similar system to AC Milan, but it's so hard to find a proper Libero. 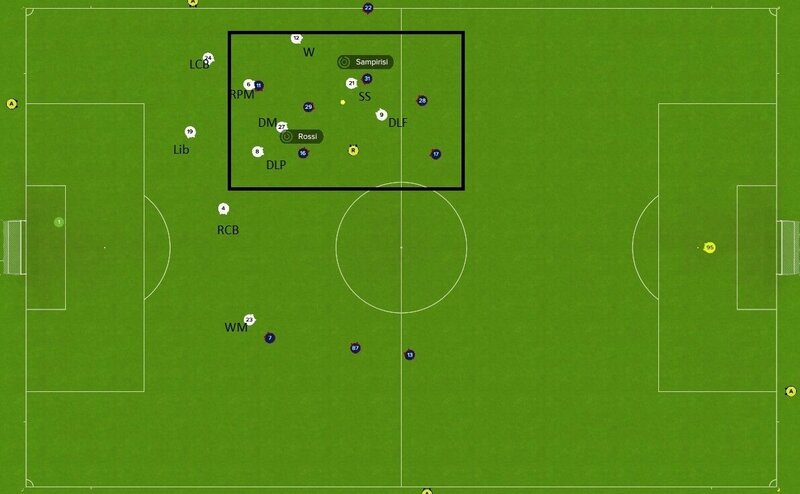 With a lesser side, I found that using CWB instead of Winger / Wide Midfielder helps with the defense.